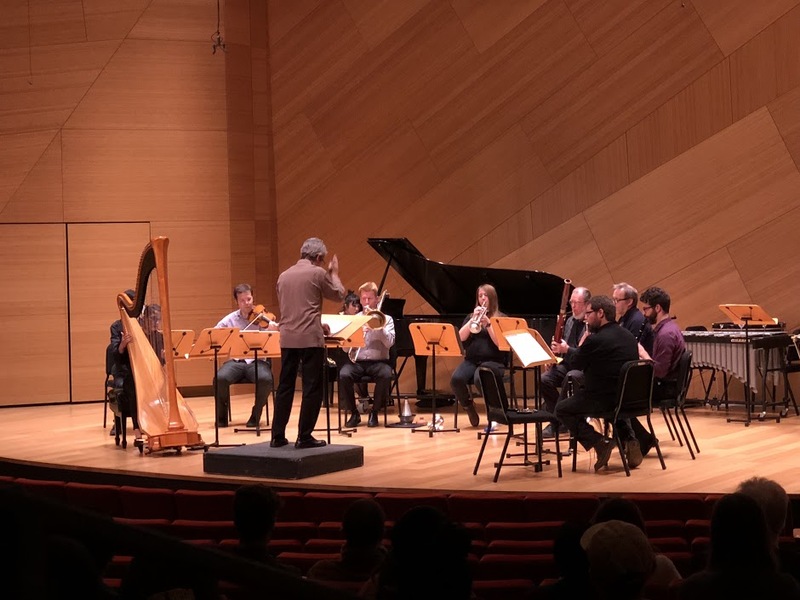 Palimpsest is an ensemble of graduate students, faculty and musicians from the community that performs music for larger ensembles. 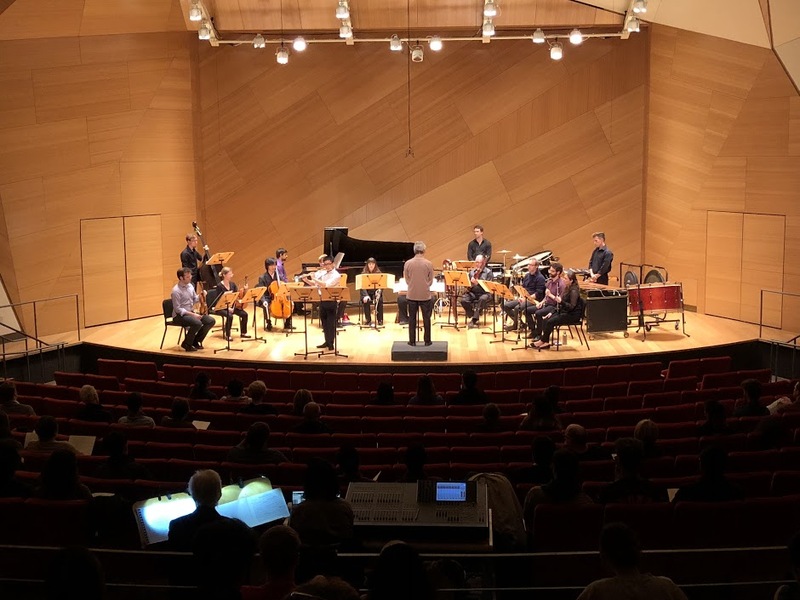 Most concerts present a premiere performance of a new work by a UCSD composer which is written for the same ensemble as an older work from the repertoire. 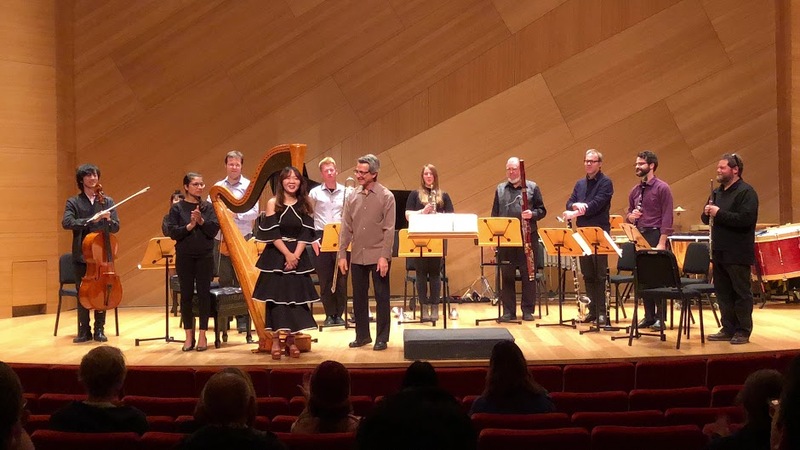 Recent programs have included classic works by Webern (Concerto opus 24), Carter (Luimen, A Mirror on Which to Dwell), Babbitt (Arie Da Capo), Martino (triple clarinet concerto), Birtwistle (Nenia) and Davidovsky (Divertimento), alongside premieres by Yvonne Wu, Xavier Beteta, Stephen Lewis, Qingqing Wang, and faculty colleagues Lei Liang (harp concerto) and Rand Steiger (Elliott’s Instruments).